This wooden toys for toddlers and preschoolers post may contain affiliate links. 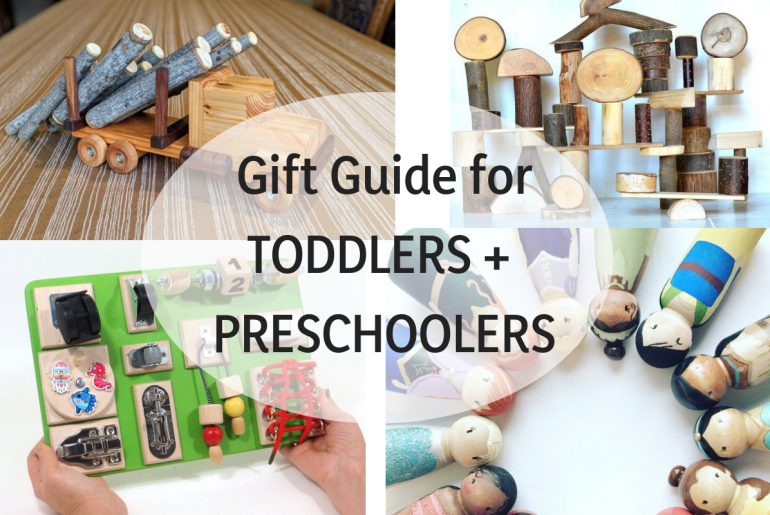 The reason I’m in love with wooden toys for toddlers and preschoolers is that they last and they are usually timeless. 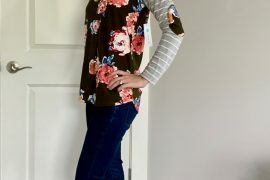 One of the things I consider when I purchase anything for my kids is whether or not we’ll be able to pass it along to another family when we’re done with it. 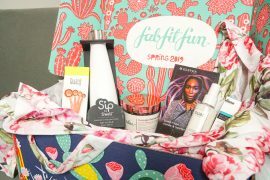 I’d rather invest a little bit more in a product that I know can be used again and again and shared with friends and family. These lists below are toys that my kids have used (either at our home, friends’ houses, or indoor play spaces) and I endorse their quality and level of awesomeness! My kids have a very similar one to this that has been entertaining them for the past couple of years. There’s something so satisfying about seeing the cars swoosh down the ramp with such speed. My kids start jumping up and down and they cheer every time the cars make it to the bottom. 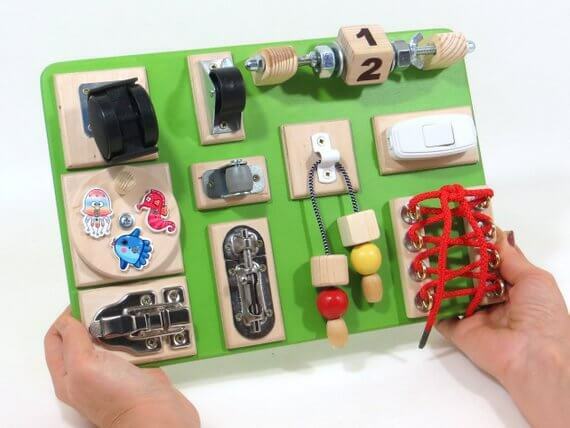 If you have a toddler who is constantly playing with the wheels on chairs, light switches, the pulls on drapes and basically all the stuff toddlers like to mess with, this busy board is the ultimate wooden gift for toddlers. My husband tried to make one for our kids, but it didn’t come out nearly as cute or compact as this one! My oldest got this Hape toy for his first birthday and it’s been a fun way to mix in a bit of music without it being battery-powered music. My kids love hammering the balls until they drop onto the xylophone. The xylophone part slides out so you can choose whether or not you’d like the musical aspect. Oh, and you can order extra wooden balls directly from Hape if you feel like you might lose some. I *may* know from experience. I’ve been kind of obsessed with these since my friend said she had a similar set for her kindergarten class. I like that it makes kids think about how objects can balance even when they are different shapes and sizes. My toddler loves stacking any object and this would be a good set for him to see how tall he can make a tower! One of the best investments we made when our oldest was 18 months old was buying a train table. It was literally the only item in the house that could occupy him for 90 minutes straight. As he got closer to 2 years old, he was able to put most of the tracks together on his own and then it fully occupied him for 2-3 hours. And that gave me a bit of freedom! I recommend getting a train table like this because there are drawers to store the extra train tracks. Or, make sure to get one with room to put storage underneath. 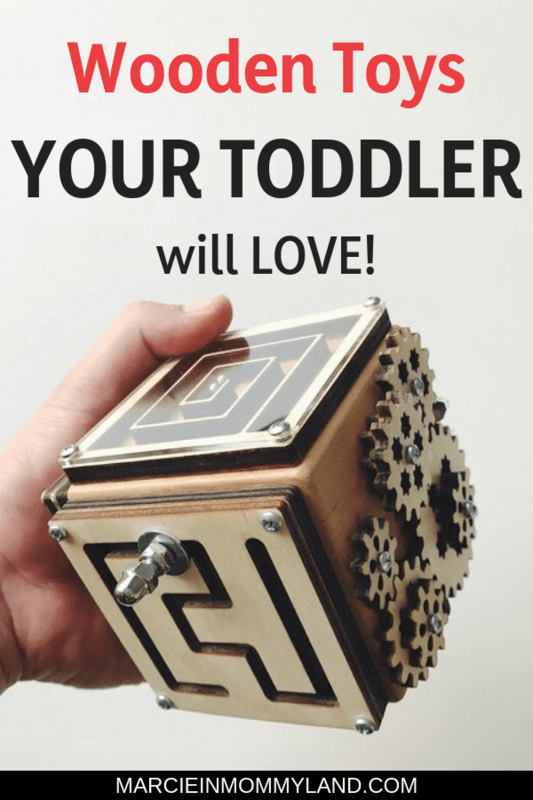 I love toys that make kids think and that’s why I added this busy cube to the list. When my kids were babies and young toddlers, they played with one of those big activity cubes and it occupied them for such a long time. I was actually sad when they outgrew it. So, I was super stoked to find this handheld version that is totally portable! And it’s solid enough to last through a few kids! Toddlers LOVE collecting items and toting them all over the house. It’s a developmental stage and it’s fascinating to see what they think is worth carting around! While we don’t have this exact one, we’ve had a shopping cart in our playroom for several years and it’s definitely a hot ticket item! My toddler loves putting his stuffed Mickey Mouse inside and taking him for rides around our kitchen table. I used to help out in a toddler program and my job was to keep the kids occupied so the Moms could get parenting tips. This was one of the items I had in my bag of tricks that was a HUGE hit with kids every session. The kids love opening and closing all the doors and seeing which animals are inside. I appreciated that it was magnetic because it helped keep the pieces together! And it’s sturdy enough to be passed along to other families. So, I actually found one at a local thrift store that was in practically new condition! I snapped it up and my oldest played with it a little before he outgrew it. But, lately it’s been the perfect size for my toddler! I mean, what kid doesn’t love ride on toys? My favorite part is that it doesn’t light up or play loud music and it still fully engages my son. We keep it at their grandparents’ house and it’s a nice, quiet toy he can play with in their living room. Several of my friends have plastic versions of logging trucks at their house, but I’m in love with this wooden one! 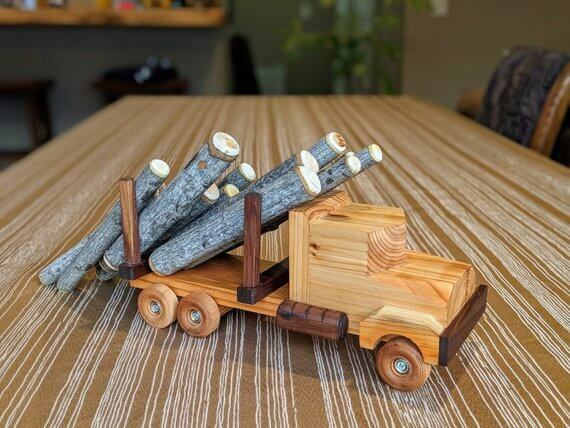 What a great way for kids to practice loading and unloading all the logs and drive it all over the house. Plus, you could change up the items that the truck is loading or let the kids pick out their own sticks on a nature hunt or something! When we moved into our new house, we set up a playroom. The focal point was this Uptown Espresso play kitchen from KidKraft. The color scheme is surprisingly close to our actual kitchen (including the backsplash tiles!) which makes it even more realistic. This one comes with a little play phone that has been a coveted item in our house for the past 2.5 years. I’m actually shocked we haven’t lost it yet! I’m recommending this one not only because we own it and it’s awesome, but also because it’s cheaper than most of the wooden play kitchens I’ve seen! My oldest goes to Montessori preschool and it’s incredible the types of hands-on “work” he gets to do. 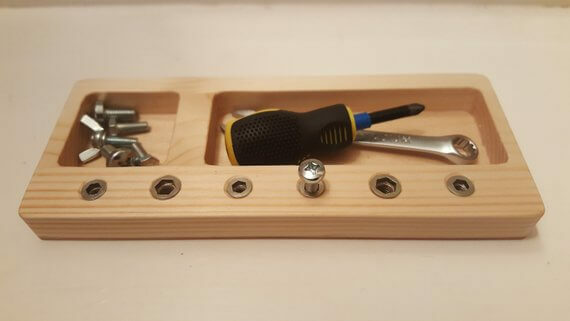 I love that this handmade set encourages find motor skills as kids can screw and unscrew. What a great way to teach kids useful skills while they play! While I love it when my kids play with traditional blocks, it’s always interesting to shake things up a bit with a different shaped block! I’ve watched my kids play with these rainbow blocks at play spaces and it’s so cool to see them experiment with different sizes and with arches. There’s also this one that is more geometric. Plus, the rainbow colors are so cute! We’ve had this set for about 2 years and it’s fantastic! It’s held up nicely and we haven’t lost any of the pieces! It comes with a helicopter and two airplanes, plus pieces to build a runway and helipad. The runway is compatible with wooden train tracks/road pieces so you can expand or incorporate it into other play. 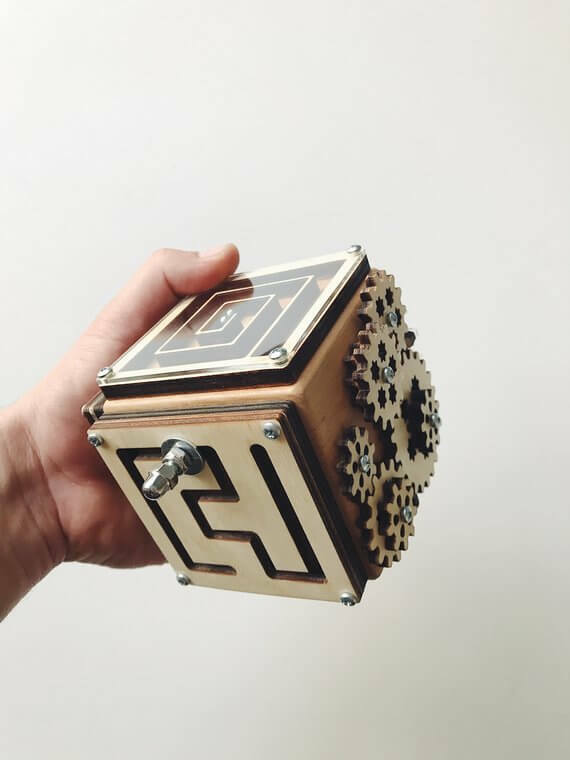 All the pieces fit inside the wooden box and kids can carry it anywhere they want to go. My kids like to set it up and play with it upstairs, then pack it all back in the box, bring it downstairs, and set it up again. They do this over and over throughout the day just because it’s portable! While we don’t have these exact dolls, my kids do enjoy playing with wooden doll houses when we play at other peoples’ houses. 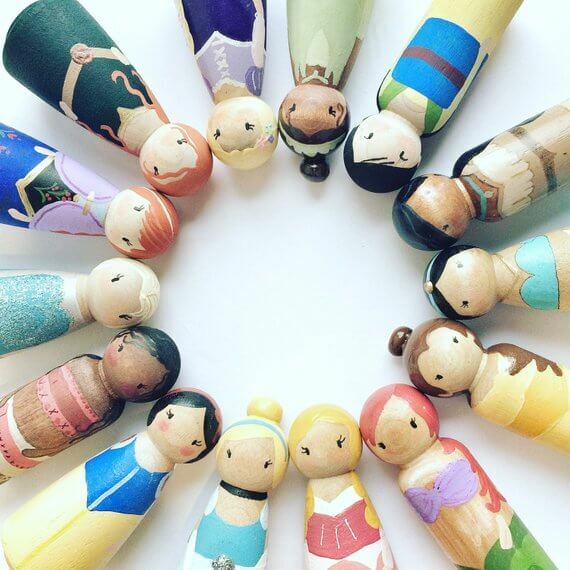 These ones caught my eye because they are Disney princesses! I mean, it’s got all the favorites including MOANA! And they are small enough to pack up for travel! Wouldn’t these be fun for a Disney trip? My Dad gave this to our oldest last Christmas right before he turned 4 years old. It’s been a great way for him to practice balancing and strengthen his core. Most of my son’s friends have one and it’s something that gets used on and off anytime it’s out. Our 2 year old also likes to hold our hands while balancing on it. I found this one at a local kids consignment sale last year and my kids love it. I didn’t even realize it came with dolls until I saw it on Amazon! Mostly, they are obsessed with locking and unlocking all of the doors and listening to the doorbell sound. And they like to hide away “treasure” inside! Preschoolers are all about the pretend play. I love how this KidKraft Grocery Marketplace provides an opportunity for kids to be shoppers, cashiers, farmers or whatever their imaginations come up with! The shelves have little chalkboards so you can change up what this marketplace is selling. I’m thinking it could be a bakery one month, a farmer’s market another, and maybe even an ice cream stand in the summer! We’ve had this set for the past 2 years and we actually just donated it to my son’s preschool so it could get even more use. This set is all about China and it has many different levels of play. There’s a puzzle for younger kids, story cards for preschoolers, and a travel journal for older kids. While it’s not completely made of wood, there’s a wooden puzzle and you can use the puzzle pieces as wooden figures on the play mat. This is an awesome activity for older preschoolers because it involves a bit of strategy. 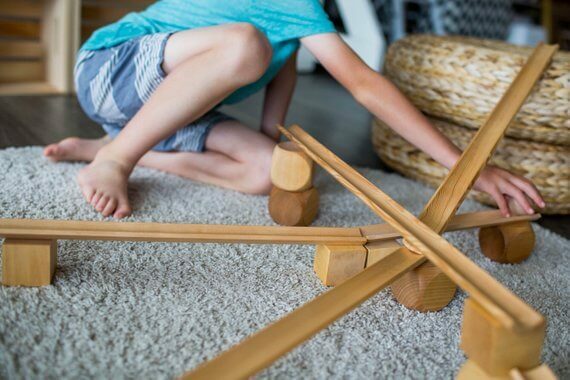 My oldest has a lot of fun with it because he can build towers and interesting shapes and it’s usually sturdy enough to stand on its own. They have a few different sets so you could combine them to create really impressive things! Another cool thing about this is that it packs up pretty compactly so you can take it with you when you travel! My kids are constantly trying to build ramps out of cardboard, manila envelopes, books, and practically anything that is flat. They like to race cars and trains down them and try to build the fastest ramps. These wooden ramps are the logical next step! I love that they can be used on the ground, or can incorporate couches, ottomans, desks, and any piece of furniture. Plus, kids are learning about gravity and engineering! 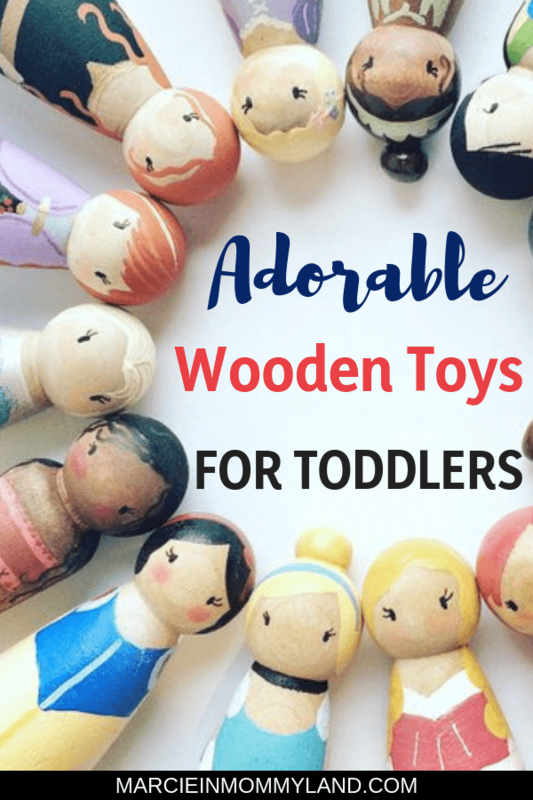 While my girls have outgrown the toddler stage, I did discover wooden toys shortly before my youngest got too old for them. 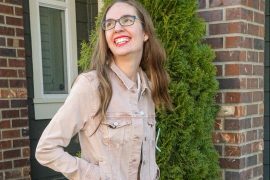 I loved the quality! Yes! The quality is unsurpassed! 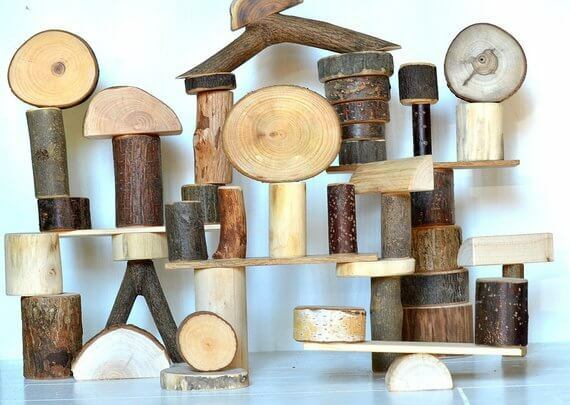 Some of the best toys my kiddo had were wooden. I am looking forward to giving these toys to my grandchild. Aren’t they special and oh-so-cute? These toys sounds amazing perfect as Christmas gift! We love them and I enjoy passing them to other families!